Fans of vintage guitars normally claim that vintage guitars sound better than new ones. Why? Some say because the wood is old and dry, or it resonates better with the time a guitar is played. Others say that some parts were in detail different than they are today. Some of this is vodoo, but there are in fact a few real differences. 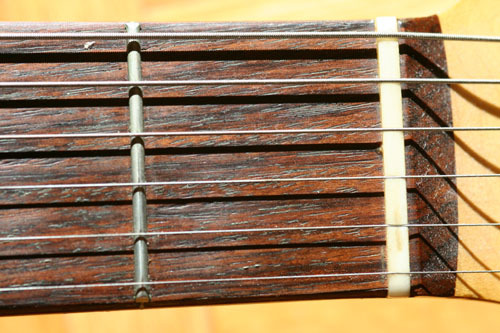 One of these is the kind of wood used for fingerboards: vintage Fenders mostly had Brazilian rosewood (botanical name: dalberia nigra), a wood – as the name suggest – from the tropical rainforests. Brazilian rosewood is protected by strict environmental laws these days, it cannot be legally obtained since 1992. No cutting of trees, no export or import. For this reason it is almost impossible to get, and also extremely expensive. New guitars come with Indian rosewood instead (dalberia latifolia, it grows on plantations) , or from some other parts of the world like Madagascar. 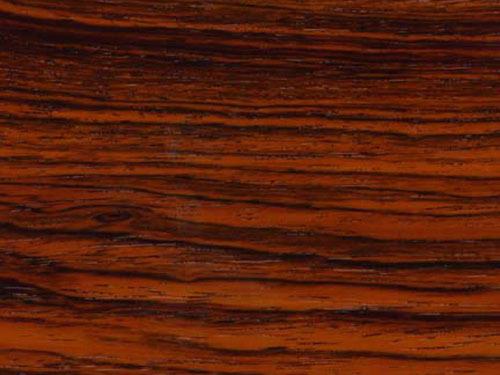 Some specs of Brazilian rosewood like average density or hardness are in fact different than for Indian rosewood, also the look is slightly different. As far as colour is concerned, both can be almost black or rather brown, from lighter brown over redish brown to purple brown. Brazilian rosewood can feature a highly figured grain, and often has tiny holes (I have heard these are in fact wurmholes). Besides it is said it has a typical sweet smell but since I can’t smell anything like this on a guitar, I guess this is rather when working with the wood. the fingernails where these rest when playing frequent chords like E or Am. Indian rosewood can look very similar. 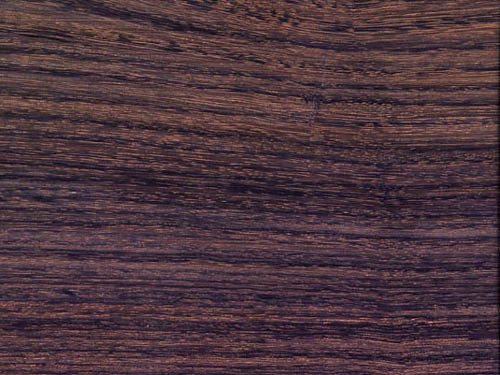 Brazilian rosewood often has an attractive grain . Brazilian rosewood is said to sound a bit brighter but nevertheless warm. To make one thing clear: the tonal differences are very subtle, and both kinds of wood can sound fantastic. 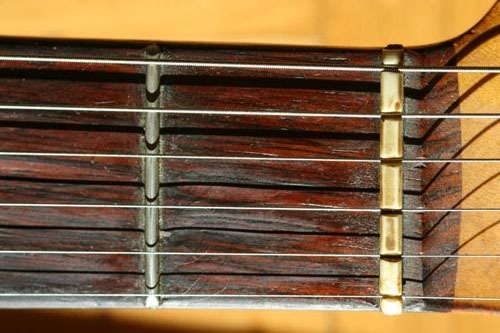 If you google for ‘brazilian + Indian + rosewood’ you will find hundreds of pages or discussion from guitar forums about these differences. What is my personal opinion: I have played many guitars with Brazilian rosewood. The problem is as always that you will never have two guitar that are identical with the exception of one single feature like the type of rosewood (and nobody would replace his fingerboard to make an A/B comparision obviously). Nevertheless, I got the feeling that the ones with Brazilian rosewood had something in common that is missing with Indian rosewood. A subtle difference, but still there. Or I am simply wrong, who knows (now the experts can chime in). 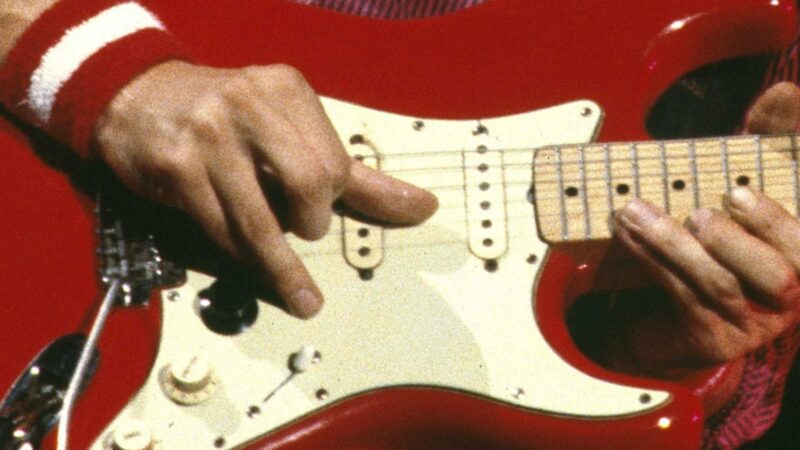 Mark Knopfler’s ’61 Strat has Brazilian rosewood – Fender changed only gradually to Indian rosewood sometime between the late 60ies and early 70ies. His Pensa Suhr from late Dire Straits days also has Brazilian rosewood, I am not sure about his later Pensas (luthiers often still have small supplies of it, their ‘personal treasure’), the Signature Strats haven’t. Hi, thanks for the good article! Does that mean that these fingerprints you often see on vintage guitars only appear with brazilian wood? Is the wood there softer maybe or do they appear on both brazilian and indian wood? No, this has nothing to do with Brazilian or Indian rosewood, happens with both. I just pointed to that as you can see it nicely in the picture. Brazilian rosewood is slightly harder than Indian by the way. Hi, i do have a solid brazilian rosewood strat that Leo Fender made for jimi and it smells a lot, its a very uplifting smell and the sound is extremly rich. I have numerous acoustics (GAS) everyone is absolutely wonderful. I play martins, gurians, gibson. will never part with any. I have a gurian s3m which people rave about. bottom line, is sound, handling, application. I just dont care about the material if it is made by high end manufactures. these instruments have a lot of care, and love built into them. I know nothing about guitar materials. But as I read this post I was wondering of which one is better, Brazilian or Indian rosewood? I just love classic guiatars. My uncle has a very expensive one made from a cherry wood. The thickness of the rosewood finger board affects to the sound, 2-3 mm sound better than modern 5-6 mm; however, it is the player who really makes the difference!! Fender has been using both Indian Rosewood and Brazilian Rosewood in the early 60s as well. E.g. SRVs “No1” has Indian Rosewood! Do you have any other proof that Mark has brazilian rosewood on his old Strat? Never heard that Fender used Indian rosewood in the early 60ies. And never heard (or found) that SRV’s No1 was Indian rosewood. I am pretty sure it was Brazilian rosewood, on SRV’s guitar, on Mark’s guitar, and almost all Fenders up to maybe 1966 or 1967.
before. So great to find another person with some genuine thoughts on this issue. a perfect approach? I’ve a challenge that I’m simply now working on, and I’ve been on the look out for such info. .. having some vintage guitars of the big F and G brands from 50ies up to 80ies, I completely agree. Brazillian boards adding a kind of directness and glassy attack to the sound which are usually not be found on similiar guitars with Indian boards, which are a little bit more “midrangy” and damped in their attack. I clearly prefer all my braz board guitars to the others with Indian. They sound more bell like or glassy in attack (“chirp”), and allow more and easier articulation., clean and overdriven. Due to to my guitars, Fender seem to have switched around 1966 to Indian, Gibson around the same time, too. Also, never seen or heard of a pre-CBS strat or tele with an Indian board. But after playing so many guitars in your life you get aware that e.g. the ones with feature xy – although each one has an individual sound – have something in common which you feel is in fact related to this feature.